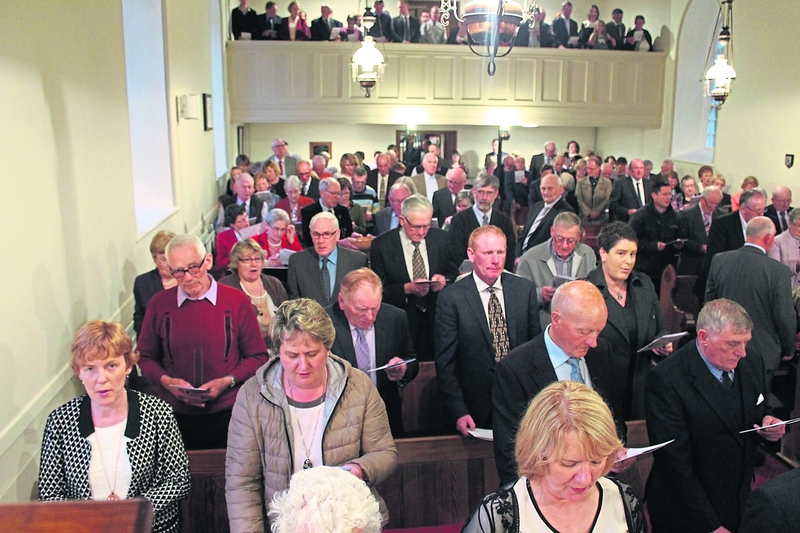 Killegar Parish, along with the rector Canon Alison Calvin, is delighted to be celebrating 200 years of worship and community at Killegar Church. The small, but close knit community enjoy worshipping together on Sundays and there are a range of other activities throughout the year, most notably the summer BBQ which is generously supported by the wider community. 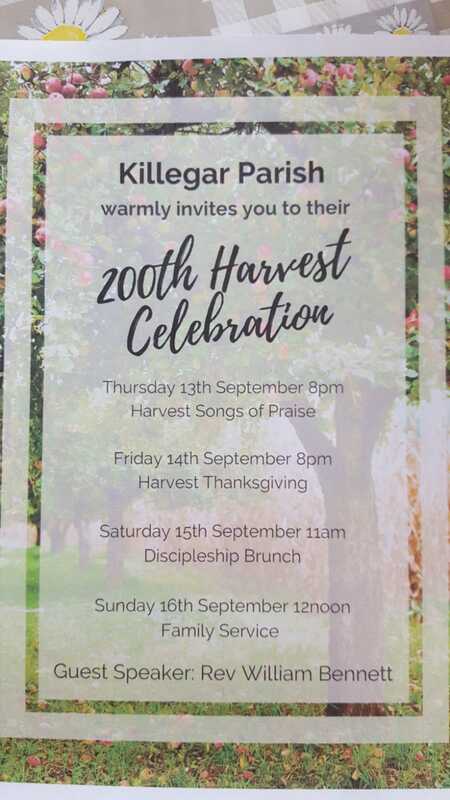 They are always delighted to welcome visitors to any of their events, but especially now as they celebrate our 200th Anniversary Harvest weekend. There will also be a concert with The Mohill Sweet Spirit Gospel Choir on Friday 2nd November at 8pm. This church was built by my great great great grandfather, John Godley, who inherited some 6500 acres in Leitrim from his grandfather in about 1810, after 26 years of legal wrangling. He was a merchant in textiles, with a comfortable house in Sackville Street, which is now O’Connell Street, in Dublin. He was 35 at the time, and a single man. Over the next four years, he was very busy. Firstly, he made an extraordinary decision to leave a salubrious part of the capital city, and build himself a large country house on the Cavan border in one of the wilder parts of the Irish countryside. The house was completed in 1813 and he promptly married Catherine Daly, the daughter of Denis Daly MP, and granddaughter of Earl Farnham, and moved to Killegar with his new wife. Their first-born arrived the following year – a son named John Robert who went on to found Christchurch in New Zealand when he was only 35, and he was followed by another eight children, the start of the whole Killegar dynasty, of which I am now the nominal head. Despite the many demands on his time, including the care of more than 300 tenant farmers, it is a measure of the man’s values and priorities that within only five years of his arrival, he had also found the time (and the money) to build this church. He also went on to build the school and the schoolteacher’s house. At playtime, the children used to cross the road to play in the field just inside John’s gates, which is still called “The Playground” to this day. Other members of the family also had important roles in the church. John’s son Rev James Godley was Incumbent of Killegar Church and was later Rector of Carrigallen, living at Drominchin, where Percy French was a regular visitor. His daughter Maud died there in 1946, and is buried alongside her parents. Another Incumbent was the Hon Rev Henry O’Brien, who was married to John’s daughter Harriett, and was later Vicar of Killeshandra. Finally, his granddaughter Anna, who spent her whole life at Killegar, played the organ and led the choir for many years and was buried here in 1955. John died in 1863, at the age of 88, leaving a legacy to be proud of, and I am sure he would be delighted to know that we are celebrating the 200th anniversary of this church today.